You kids know who Glenn Kelman is? OK, easier question. You guys ever hear of Redfin Corp. (RDFN - Get Report) ? First off, for the uninitiated, Redfin is a technology-based real estate firm that engages in traditional brokerage activities as well as title search, settlement services, mortgage banking operations, to name a few. The firm went public about a year ago but has existed since 2004. On Thursday night, Redfin reported second-quarter numbers that looked superb. Performance beat expectations for both the top and bottom lines. Revenue printed up 35.9% from the same quarter a year earlier. That's where the good news ended. Enter CEO Glenn Kelman. So, is the sky falling? I am not going to flat out tell you that for housing we are either on the road to or around Armageddon. I am going to tell you that housing performance is, and always has been, regional. Consequently, to trade around any housing uncertainty, it makes sense to look at the housing market more broadly via ETFs. One seeking to broadly play the space through ETF exposure should expect performance to be lumpier for ITB, as that offering's largest holdings by far are D.R. Horton Inc. (DHI - Get Report) and Lennar Corp. (LEN - Get Report) -- to the tune of 14% and 13%, respectively, with no other holding represented by more than an 8% weighting. XHB is far more evenly spread in the weighting of its holdings. Not a single stock accounts for even 5% of the portfolio. That's the one that I would consider. If you are in this racket, then you are probably well aware that Home Depot (HD - Get Report) reports Tuesday morning, and that Lowe's (LOW - Get Report) reports next week. Now, we already know that several suppliers that home-improvement companies rely upon had rough quarters. We know that the weather for much of the country, particularly the Northeast, was not helpful back in the spring. That should be factored in, you would think. Still, the potential exists now that HD has worked its way back toward the top of the chart for a negative surprise. Both HD and LOW have formed double tops across June and July. Both have approached but failed to reach their January highs. 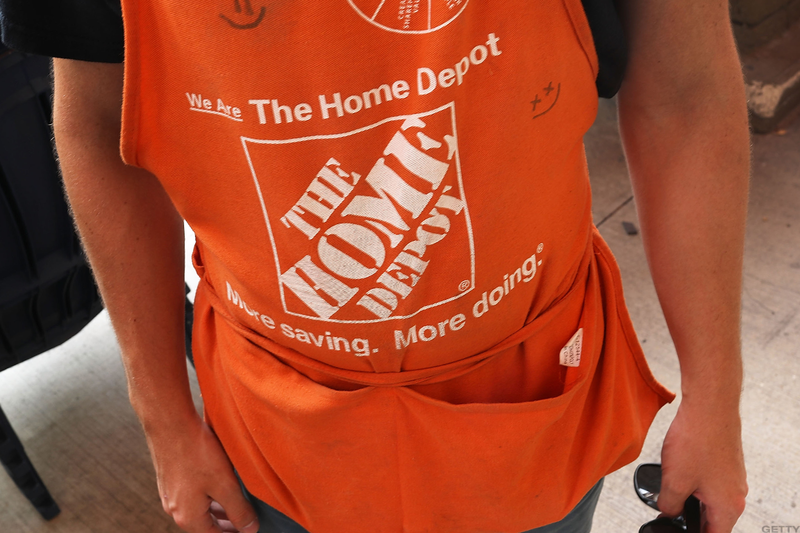 Home Depot reports earnings this week. Here's how to play the stock ahead of results. -- HD Target Price: $230. You need to see a break above and then at least one successful defense of the $205 level. I expect this to take perhaps the rest of the year. -- Panic Point: $170. It is here that I decide that I have a problem and will seek to salvage the remains of a profitable trade. By the way, $190 puts expiring this Friday went out at $1.57 on Friday night. These will likely maintain a nice premium through today's trade. Sorry, you won't get anything for the $170s, but the $185s did pay $0.66 on Friday night. Food for thought.